Wentworth Season 5 will air on Foxtel on Tuesday, April 4, 2017 on showcase. The official Wentworth Season 5 trailer revealed Bea’s soulmate Allie looking out from behind bars and the Season 5 slogan: Revenge will set them free. We know all too well that Wentworth has built a reputation for delivering a world with unexpected twists and turns where no character is safe. Yet like you, we are still recovering from arguably the most epic season finale in Australian TV drama history. 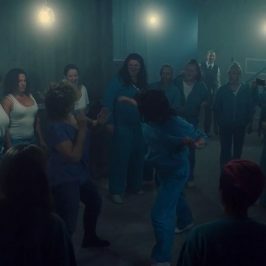 For those living under a rock, audiences sat on the edge of their seats screaming, crying and sobbing in disbelief as they watched the show’s most iconic character Bea ‘Queen Bea’ Smith being stabbed repeatedly with a screwdriver in a wild attack by Joan ‘The Freak’ Ferguson. Hearts were broken around the world, whilst Bea appeared to poetically die at the exact same moment her soulmate Allie — also a victim of The Freak – phenomenally came back to life after Bea was informed she wasn’t going to make it. In what’s been described as the ultimate Juliet and Juliet moment of our era, it’s got us all crazy with anticipation as what to expect when the world’s best prison drama returns. Here’s the top six things we’re talking about in anticipation of season five of Wentworth. 1/ Could The Freak finally go away for good? Driven by her longing for revenge on The Freak, for all she has done and all she has taken, did Bea make the ultimate sacrifice of impaling herself onto a screwdriver held by Ferguson, to frame her undisputedly for murder? Will her final words to the Freak ‘I win!’ reign true? Surely even the Freak cannot claw her way out of this one? Right? 2/ Will Allie get revenge? We were blubbing uncontrollably when Bea looked up into the sky and saw two seahorse clouds coming together – the symbol of Bea and Allie’s love. Yet in the second shock of the season finale, unbeknown by Bea, the hospital-bound Allie survived The Freak’s lethal drug hot shot after all. How will she react when Allie finds out the Freak attacked her Bea? Will Allie get her revenge? 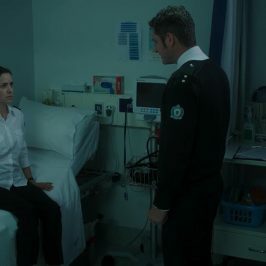 And who is that mystery person sitting by Allie’s bed-side in Hospital? Exhausted from the responsibility, Bea stepped down as Top Dog, passing the reins to Kaz Proctor. Now the Red Right Hand leader must deal with all the dilemmas Bea once faced, as well as the chaos to ultimately follow from The Freak’s attack on both Allie and Bea! With Kaz’s strong zero violence stance, what justice can she possibly deal out to The Freak? Will she lose her Top Dog status before it’s even begun? 4/ What’s next for “Fridget’? Lots of fans love Franky and Bridget being together. Ok some would love Franky to be back inside and reunited with bestie Boomer, too. Outside the walls of Wentworth Franky is maintaining her parole, she’s landed a great gig using her previous life experiences and legal skills to help other young people steer clear of the path she once found herself on. 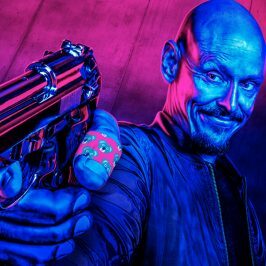 So what does Season 5 have in store for Franky? How will she react to The Freak’s attack on Bea? 5/ Will we get our Baby “Baxine”? A gorgeous friendship bloomed between two of our H Block favourite’s last season with Boomer helping Maxine through her battle with breast cancer.We want a happy ending. We always want a happy ending, but what does Season 5 have in store for these two?How will Maxine cope with her chemotherapy? Will she make a full recovery? Could we finally see Boomer knocked up? The Liz and Sonia saga of Season 4 had us scared at times for our prison Mum, Liz. 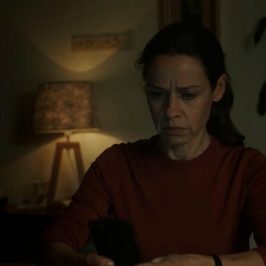 One minute you think Sonia’s okay, the next minute you think she is going to Norman Bates’ Liz in her sleep and don’t even get us started on the ‘Hair Shaving’ moment! Is Sonia innocent? Don’s offer could change Liz’s life; can she see it through till the end? 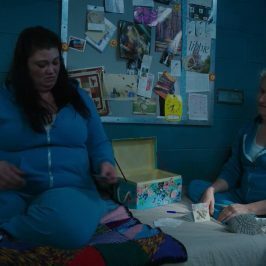 Wentworth Season 5 premieres on showcase – channel 114 on April 4. Before Season 5 has us glued to our TV’s – be sure to go back to the BEA-ginning with Seasons 1-4 on BoxSets from March 5.